Are you ready to buy replacement windows for your home, but all the options and wide-ranging prices seem confusing to you? Here are five important factors that will help you make the right decision. Who will install your windows? Installing windows properly is extremely important. Incorrectly installed windows will fail over time. How about warranty? When selecting replacement windows, ask about warranty information. Look for a company that offers not just warranty on their products, but also on the installation. If a company doesn’t offer both, think twice before purchasing windows from them. Are the windows energy efficient? Glass is responsible for up to 90 percent of window heat loss. To lower your cooling bills, choose energy-efficient window glass. What are the materials? Take a close look at the materials used to make the windows. Are they specifically designed for a tropical climate? 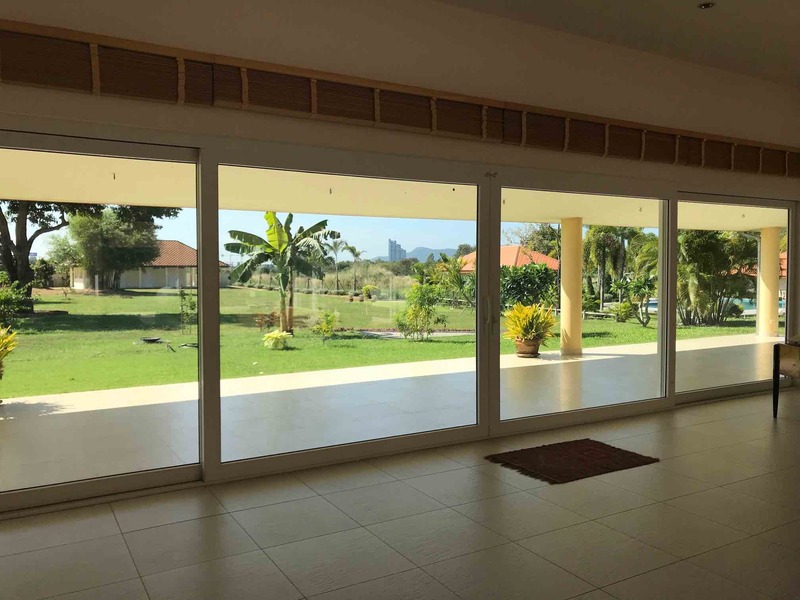 At ARC-CMR, we only use uPVC materials that are specifically designed for the local temperature and humidity. Does the quote include all costs? Beware of companies that advertise the lowest prices in the market. You know the saying “too good to be true,” right? Often companies add hidden fees for installation and even manufacturing. Before you choose a replacement window company, make sure the quote includes the cost of the entire project, not just the windows. The way new windows are installed impacts their long-term performance…and your satisfaction. Incorrectly installed windows won’t seal properly and let cool air leave, keeping your A/C bill unnecessarily high. While some uPVC windows can be structurally weak, VEKA uPVC windows and doors are reinforced, ensuring they will last a lifetime. If you want replacement windows that will last, choose quality over price. While low prices may be tempting, you could end up spending more in the long run on maintenance…and might end up replacing them sooner than you planned. There are a lot of replacement window companies to choose from. At ARC-CMR, we believe that we offer the best value for your investment. We custom build your new uPVC windows just for you. They are of exceptional quality and our glass energy efficient. And we work with you to ensure you find the right style that keeps your home looking good. ARC-CMR offers a 10-year warranty, which offers you peace-of-mind. We value transparency with our customers. That’s why we also provide you with the exact cost of your project from beginning to end during your in-home consultation, so you’re not surprised by additional costs. If you’re ready to learn more about our uPVC replacement windows and doors, contact us today to schedule your free, in-home estimate online, or give us a call at 038 223 893.